Facebook Messenger Officially Adds a Toggle Switch to Enable Dark Mode for Android and iOS users! Until now, you were able to switch to dark mode in Facebook Messenger after sending a crescent moon emoji. Although this approach was quite creative, there’s a strong chance that many people might not have been aware of it. However, things are about to change now, as according to a recent Facebook product blog, the dark mode was rolled out globally yesterday and will now be available for everyone (both Android and iOS users) to use. Users can easily activate it by tapping their profile picture and switching over to the dark mode through the toggle. The dark mode is quite common these days. Many applications are working on implementing this feature, as the widespread of official support of apps and operating systems like Microsoft’s OneNote and macOS continues respectively. 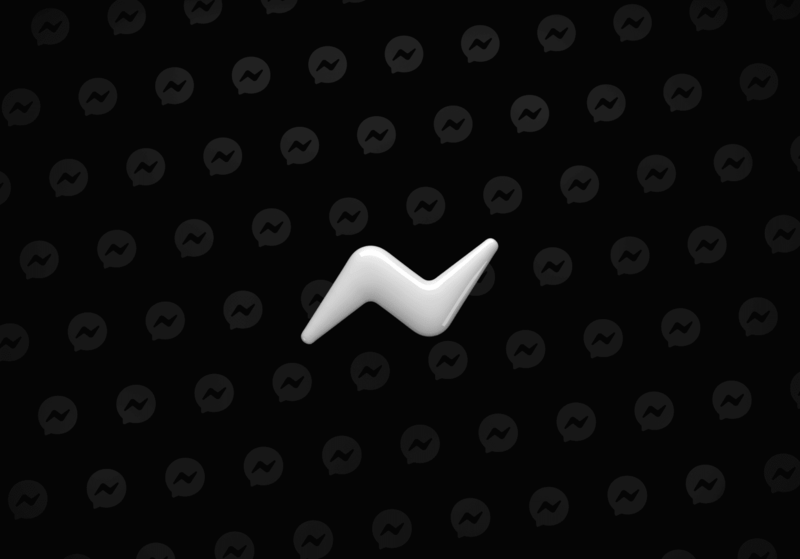 "Messenger’s dark mode provides lower brightness while maintaining contrast and vibrancy. Dark mode cuts down the glare from your phone for use in low light situations, so you can use the Messenger features you love no matter when or where you are. ", announced Bridget Pujals, Facebook Messenger's Product Manager in a blog post. There are countless benefits of using the dark mode feature in Messenger. The chat display is turned to black first of all. This reduces the glare in case there’s low light. In addition to that, this mode can also help in saving an Android phone’s battery life, as it requires less power to operate. Many people also use it as its display is pretty “cool”. The feature, with the toggle switch, should now be live. You can give it a try and experience the perks of dark mode in Facebook Messenger. Read next: Facebook's new Technology will be able to Scan your Photos and Sell the Appropriate Information to Advertisers!